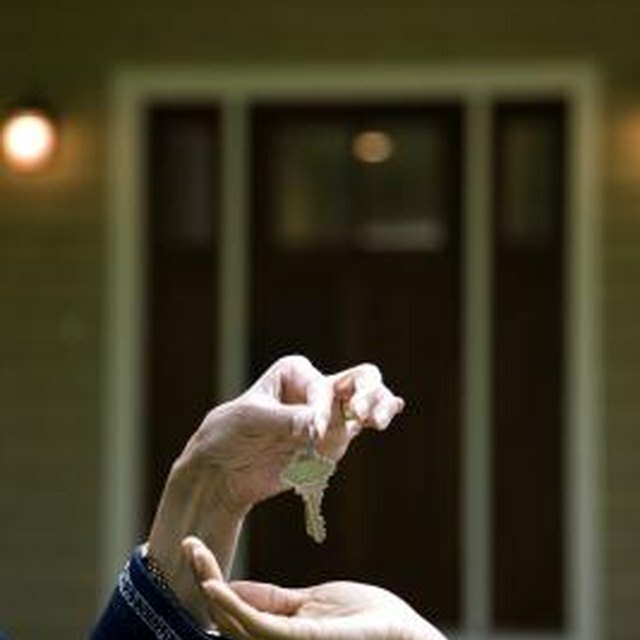 The earnest money you offer on a purchase contract reflects to the seller your serious interest in buying a home. Also known as the good faith deposit, the deposit is customary, but not required, when placing an offer on a house. The amount typically ranges between 1 and 3 percent of the amount offered and varies by locality and market trends. The Federal Housing Administration dictates the buyer's financing terms, but has no say over the earnest money deposit. Congress created the FHA in 1934 to improve mortgage accessibility for moderate-income borrowers. The government agency insures mortgages made by approved lenders that follow the FHA's guidelines for borrower and property eligibility. The real estate contract, rather than the FHA, determines whether the buyer must make an earnest money deposit to initiate the transaction. The terms surrounding earnest money are the result of negotiations between buyer and seller and always outlined in the real estate contract. The earnest money functions as a measure of good faith which show that you are serious about buying the home and willing to put money on the line immediately to make the deal happen. The contract spells out how quickly you must deposit the funds and in what form you make the deposit -- cashier's check, wire or bank check. Although no law states that you must offer an earnest money deposit, once you do, a signed and accepted contract obligates you to pay it. The FHA limits how earnest money can be administered and where it comes from. Earnest money can cover your closing costs and contribute to the FHA down payment requirement of 3.5 percent. The earnest money may not be used to pay a tax service fee, which is a mortgage lender cost that cannot be passed on to a borrower, or any fees which the lender finds unreasonable or non-customary for the market. A family member, employer, FHA-approved charity or nonprofit may give you money to cover the earnest money deposit in the form of a gift. The lender verifies the source of gift funds to ensure it comes from an acceptable entity. If you don't complete the deal in the amount of time specified in your contract, the earnest money becomes subject to forfeiture. That means the money may be used to pay liquidated damages to the seller or third parties involved in the transaction in the event you cancel -- or in the event the seller cancels because you failed to abide by the contract. The FHA protects you from losing the earnest money under certain circumstances. For instance, if the appraised value comes back lower than anticipated, the seller cannot keep your deposit if you back out.